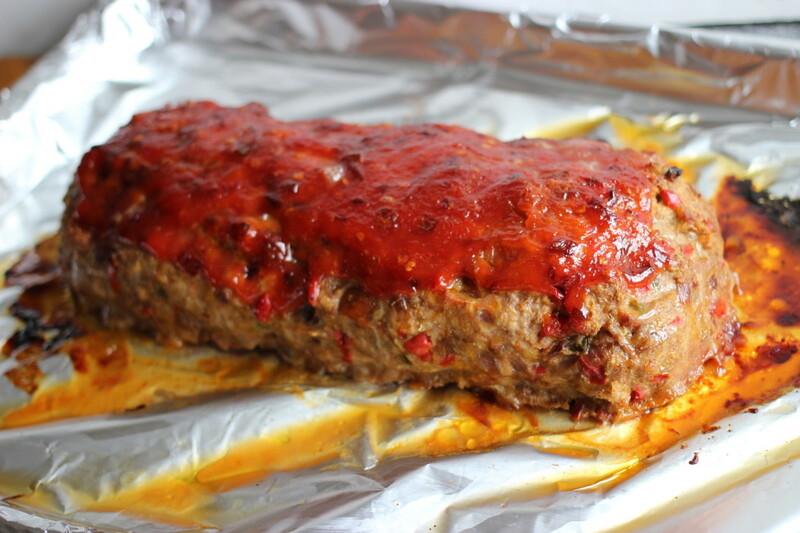 – Free-form bake: You can make meatloaf in a baking dish, though, through testing, I found I liked it best baked free-form; that is, set in the middle of a baking sheet (on foil) and formed into a loaf. 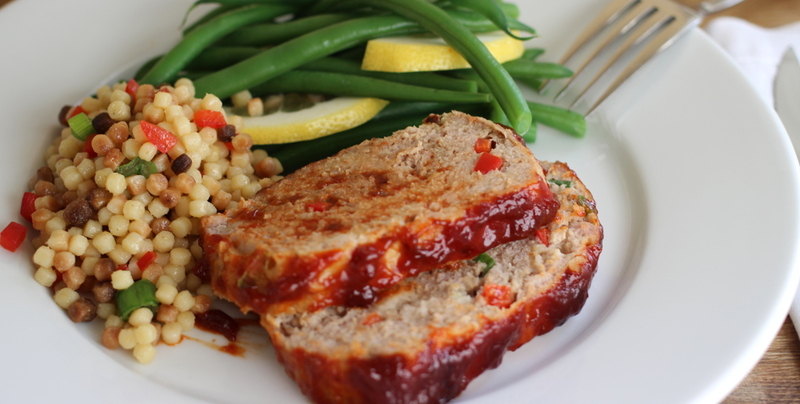 This method allows the meatloaf to brown all over and get a pleasant crust as opposed to steaming in the tight quarters of a casserole dish; closer to a roast than baking. – The flavors: Go big. Though ground white meat turkey is well intentioned, for this preparation, you’ll want dark meat’s extra hit of fat and flavor. I added fresh jalapeno to some sauteed onions and pepper and then worked the smoked version of that chile into both the breadcrumbs and the finishing glaze. As with meatballs, the addition of breadcrumbs (softened with a splash of milk) breaks up the density of the meat and gives the overall meatloaf a lighter feel. 1. Saute the aromatics and spices: Heat 2 Tbs. olive oil in a large skillet over medium-high heat. 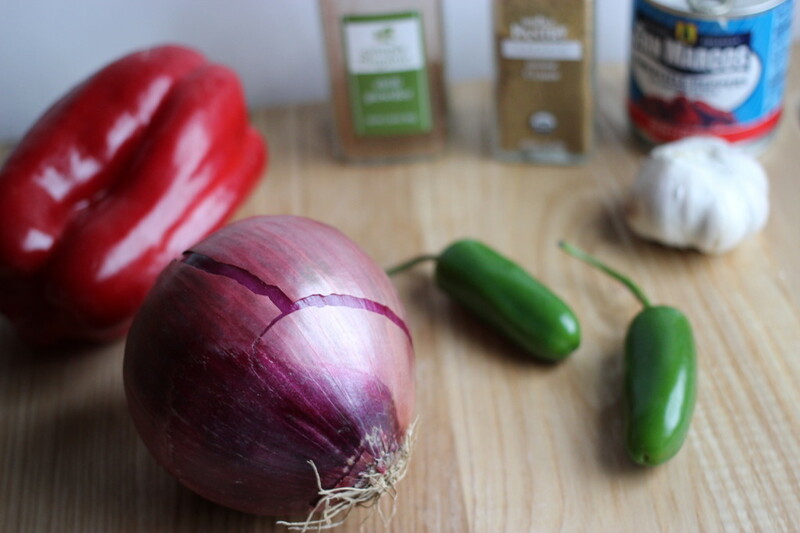 Add 1 red onion (finely diced), 1 red pepper (finely diced) and 1 jalapeno (seeded if you like and then finely diced), sprinkle with 1 tsp. kosher salt, and cook, stirring, until the onion becomes tender and browns in places, about 5 min. Stir in 1 garlic clove (minced), 2 tsp. ground cumin and 1/2 tsp. ground chipotle powder and cook for 1 min so they become fragrant. Remove from the heat and let cool. 2. 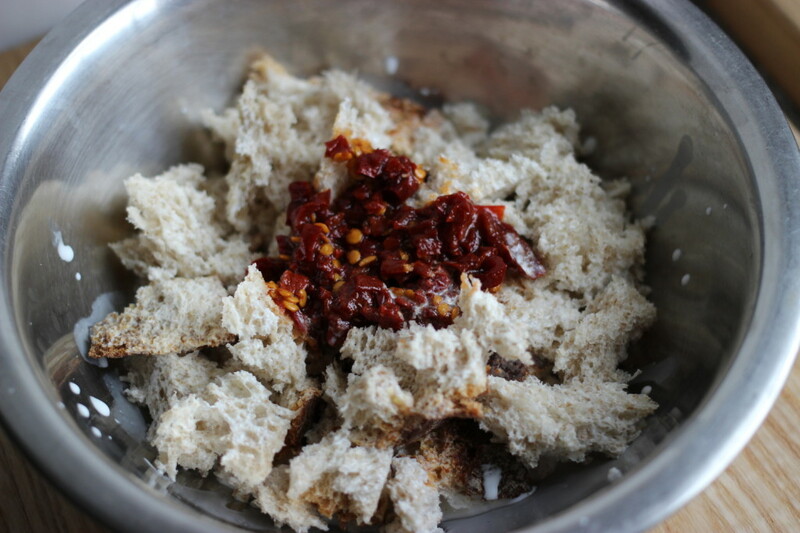 Make the chipotle crumbs and glaze: Tear 6 oz. whole wheat bread into small (1-inch) pieces (about 2 cups) and set in a medium bowl. Add 1 canned chipotle (chopped) and 1/2 cup whole milk and let sit for a couple of min so the bread absorbs the liquid. In a food processor or mini-chop, blend 1/2 cup honey with 1/2 cup ketchup, another 1 – 2 canned chipotles (chopped), and 1 Tbs. cider vinegar until uniform. 3. 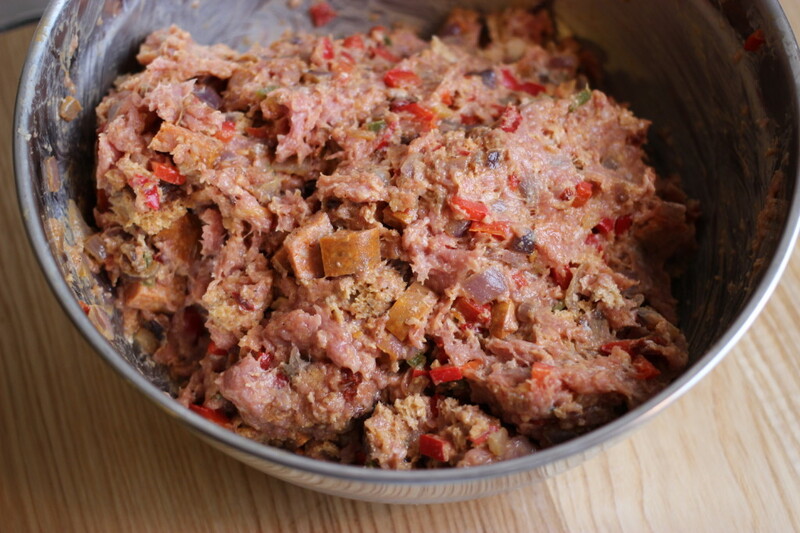 Mix and form the meatloaf: Heat the oven to 375F (do this in step 1 if you’re not preparing ahead). Add 2 lb. ground turkey (dark meat) to a large bowl and gently mix with 1 link chorizo (about 4 oz., cut in 1/4-inch dice), the sauteed vegetables (use a spatula to get all that good stuff out of the pan), the chipotle crumbs, 1 1/2 tsp. kosher salt, and 1 tsp. black pepper until the mix is uniform. Transfer this mixture to the center of a baking sheet lined with aluminum foil (and lightly greased with nonstick spray) and form into a loaf shape (about 12 inches x 4). Spoon/brush the chipotle sauce over the top. 4. Bake: Bake the meatloaf until it browns lightly and cooks through (an instant-read thermometer inserted into the thickest part should register 165F), about 50 min. Remove from the oven, let rest for 5 min, then cut and serve.